Effective B2B demand generation increasingly incorporates marketing automation. Combined with a marketing database and a reasonable amount of content, the right marketing automation platform can significantly increase the number of qualified leads delivered to your sales people. 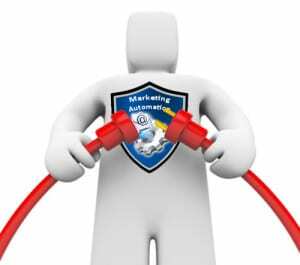 The most effective marketing teams use marketing automation. Their campaigns include multiple channels and identify quality prospects. The result is effective B2B demand generation that delivers better leads to their sales team, and achieves greater ROI. This is consistent with a report from the Aberdeen Group. Marketing teams using marketing automation have a positive effect on the sales pipeline. They report that 57% of sales-accepted leads converted to the sales-qualified pipeline and a 14% overall growth in marketing driven revenue. The good news is that, email marketing continues to be a core capability for B2B marketing automation platforms. These capabilities go well beyond email marketing to deliver integrated marketing functionality. This functionality includes campaign development and execution, multi-channel data collection, ROI analysis and reporting. Ultimately, the goal is to provide marketers with the ability to build, track, and manage digital campaigns and monitor the flow of qualified leads. Virtually every marketing automation platform provides three core capabilities: email marketing, website visitor tracking, and a central marketing database. From there, vendors begin to differentiate by providing additional tools. The challenge is finding the right mix of capabilities at a cost that makes sense for your company. The folks at G2Crowd have just released their Grid℠ Report: Marketing Automation Software Rankings. This report is designed to take the major players in the marketing automation space and put them head to head in rankings designed to help you make better software purchasing decisions. At ResponsePoint, everything we do is focused on effective B2B demand generation. We are partnered with both Pardot and ActOn to serve a variety of clients from small, local firms to large, multinational companies. Check out the report and let us know what you think. And, if you would like to learn more about marketing automation and how it can help your business identify customers, deliver leads, and increase the bottom line, contact us today.